Mix together the apples and potatoes. Beat the butter into the apple and potato mixture. Add the remaining ingredients. Place in greased 9x 10 baking dish. Sprinkle with topping. Bake at 350 for 40 minute or until golden brown and toothpick comes out clean. Leave to cool in baking dish. Combine the cream and butter in small saucepan and warm over medium-low heat until butter melts. Keep warm over low heat. Combine the sugar and water in a medium saucepan and cook over medium-high heat, gently swirling pan occasionally; do not stir. Use a pastry brush dipped in water to brush down any sugar crystals that have formed on the sides of the pan. Let mixture come to boil until deep golden brown. Take the pan from heat and slowly whisk in the warm cream-butter mixture. Keep in fridge in airtight container, until ready to serve. I was baking like a crazy person today and had to bring out all my weapons, that being my bread machine. This allowed me to compress time with other baking I was doing. 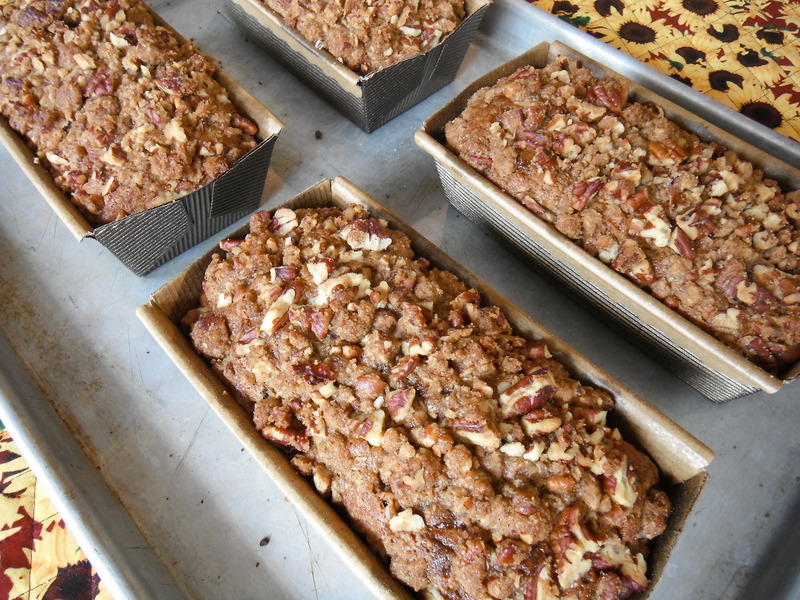 Place all the ingredients except the topping ingredients in the required order as stated with your bread machine. Set machine on dough setting. When completed, line bottom of pan with parchment paper, oil with olive oil liberally a 9X13 pan or jelly roll sheet. It only depends on the thickness you want to achieve. I used a 9X13 for a specific sandwich I was making. 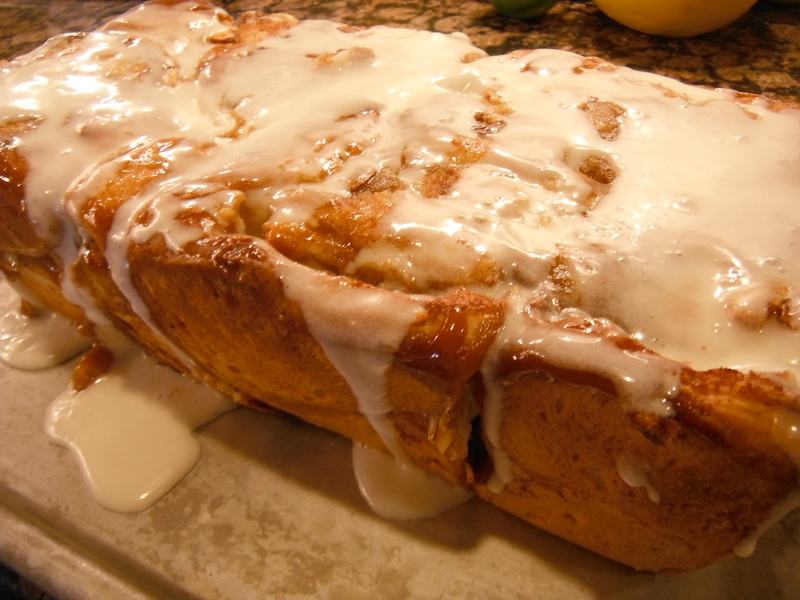 Press the dough into the pan evenly or with a jelly roll pan lined with parchment pres dough to a 1/2 inch thickness. With your fingers poke dimples into the pressed out dough. Brush with olive oil and sprinkle lightly with salt , pepper, rosemary leaves and Parmesan cheese. Bake in preheated oven set for 400 degrees for about 30 minutes or until top is golden. *This same recipe can be made conventionally just as you would any other yeast bread recipe using 2 rises, baking on second rise. Preheat oven to 350 degrees. Spray two 9X5X3 inch pan with nonstick spray; set aside. Sift the flour,soda,baking powder, cinnamon , nutmeg and salt into a bowl; set aside. In a separate bowl whisk together the sugar,eggs,oil,water,vanilla and pumpkin puree until combined. Stir in the raisins into the pumpkin mixture and stir in the nuts and cinnamon chips into the dry mixture. Add the dry mixture to the wet mixture and stir until combined. Pour batter evenly into the prepared pans. Prepare the crumble by combine all ingredients and stir to combine. Sprinkle with the crumble topping evenly over each pan. Bake for about 1 hour or until toothpick comes out clean when inserted into the center. *If you do not have bourbon soaked raisins, simply soak raisins in a jar which can be sealed at least overnight or place in a small pan and heat raisins needed in recipe with some bourbon. Bring to just boil , remove from heat allow to cool. 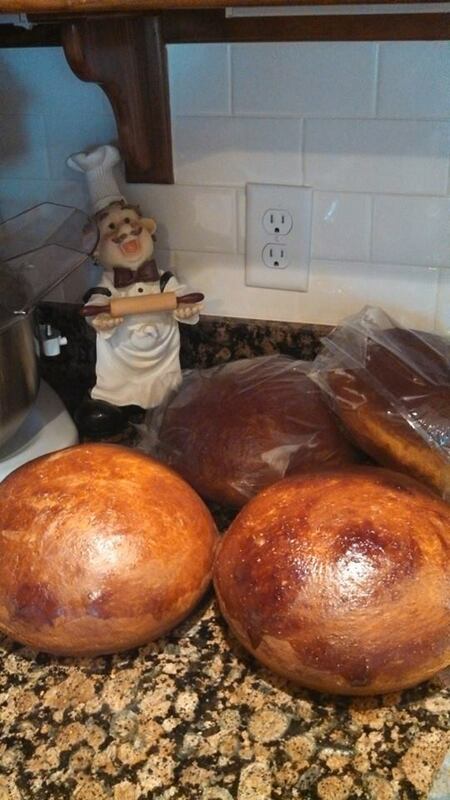 Sometimes you just find yourself craving the smell and taste of fresh homemade bread; that was me yesterday. 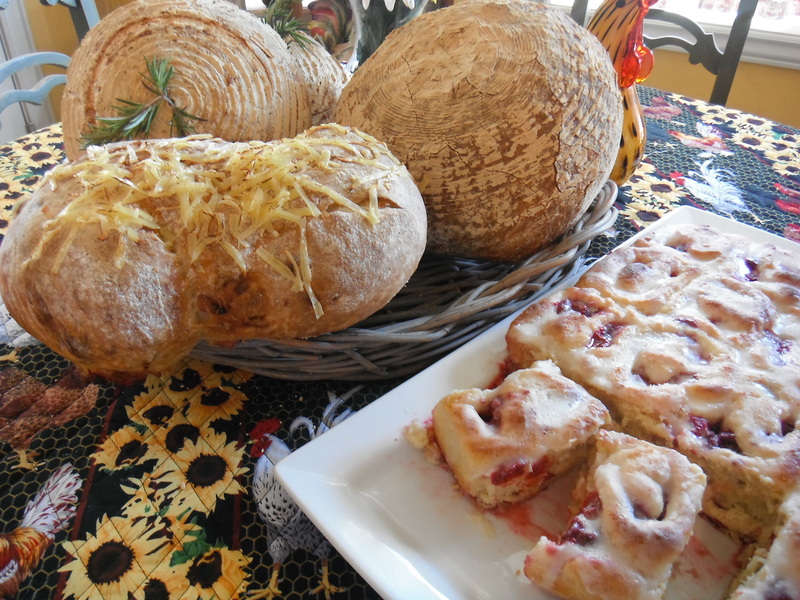 Why go to the local bakery or grocery to buy bread ?, when it’s so easy and better tasting when you make it yourself. Making bread is not hard and doesn’t have to take a lot of time. Quality bread can be made using a stand mixer, food processor, bread machine or the gift God gave us, our two hands. 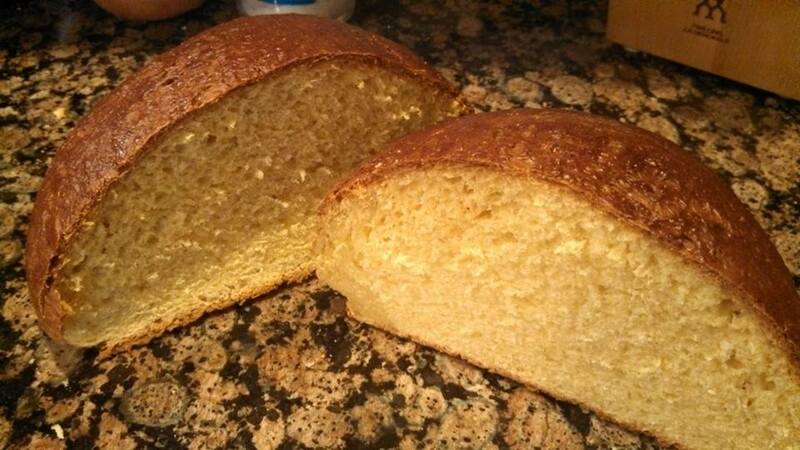 The bread I made yesterday was made with my food processor but could also just as easily be made with your stand mixer, bread machine or your hands. All these methods will produce the same quality result. Food processor method is explained in the recipes, the stand mixer method would consist of adding the dry ingredients to bowl of a stand mixer fitted with dough hook with motor running add the water and blend until combined and knead until smooth with the stand mixer and proceed as follows in the recipes with the completed dough. With the bread machine, ingredients would be added as per machines instructions using only the dough function, proceed as usual and follow the recipe starting from the completed mixed/kneaded dough. 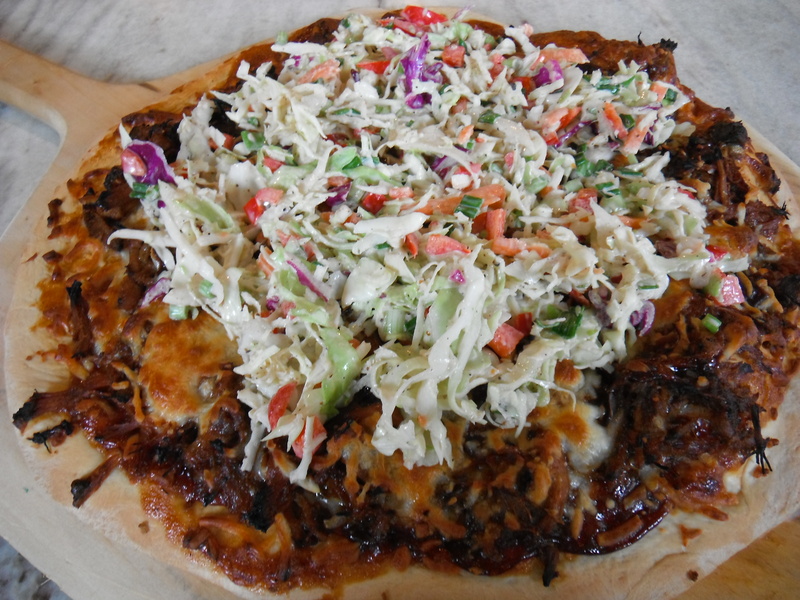 By hand, consists of combining dry ingredients and placing on a counter or dough board and making a well. Add the water a bit at a time mixing as you go and knead until smooth. Continue on with the following recipes as stated. 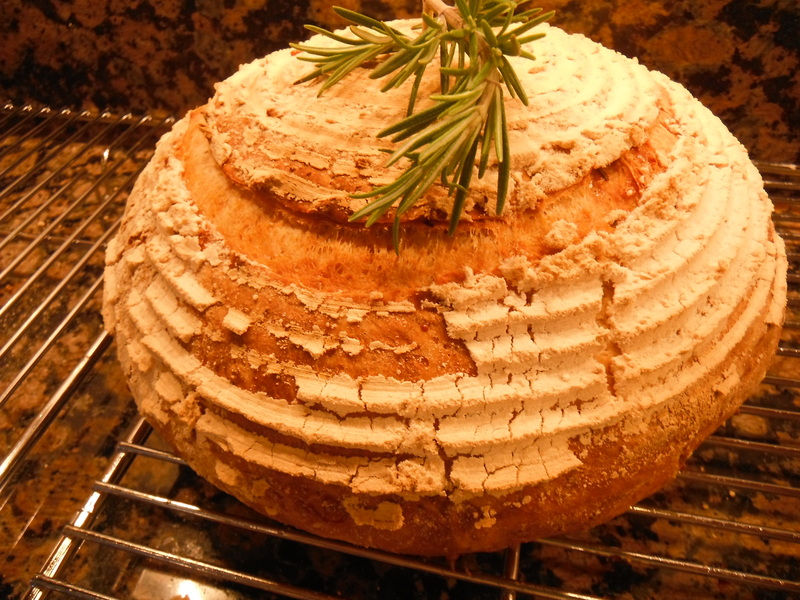 The Country White French and Rosemary Parmesan Boules utilize the same recipe with the exception of the addition of the rosemary and Parmesan. Here’s where you should let your imagination run with abandon with different combinations of additions such as, sun dried tomatoes, olives, other fresh herbs, peppers, onions, garlic- fresh or roasted, other cheeses. Go crazy. I wanted fresh bread now, so I made the dough the same day I baked it. For a dough with more depth of flavor make the dough and refrigerate at least overnight. The dough ferments during that time creating a wonderful flavor profile. 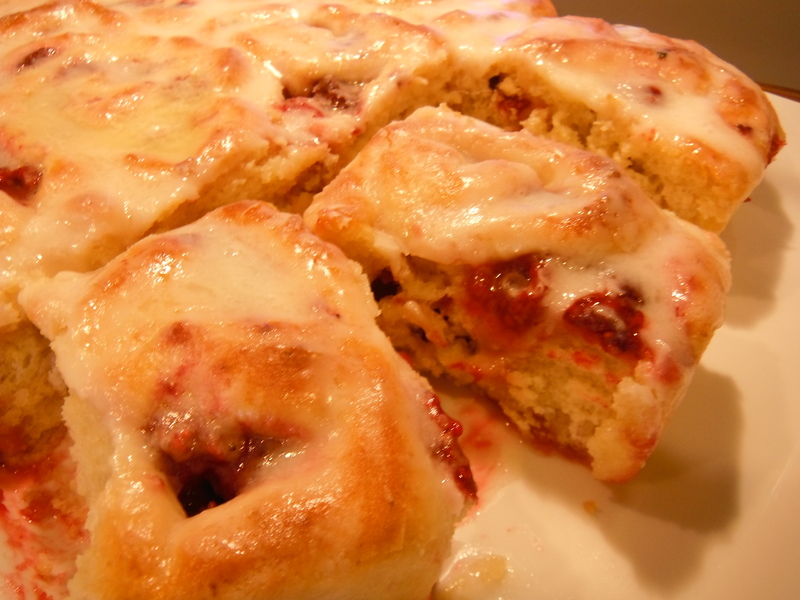 and last but certainly not least, something sweet, Raspberry Sweet Rolls. For ease of preparation purposes, I used instant yeast. 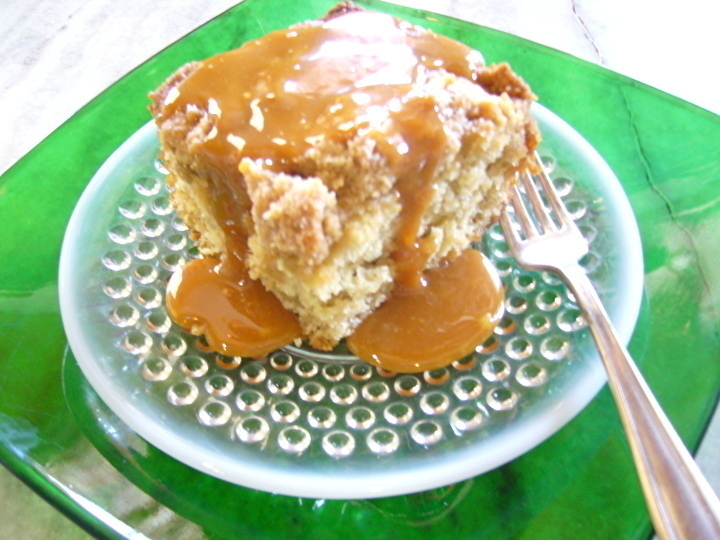 It doesn’t need any proofing and is added directly to the dry ingredients. Cornmeal for the baking sheet or baking stone. Add to the bowl of the food processor all the dry ingredients, with motor running slowly pour in the water. Continue to run the motor until dough comes together. Remove from the processor bowl and knead until smooth. 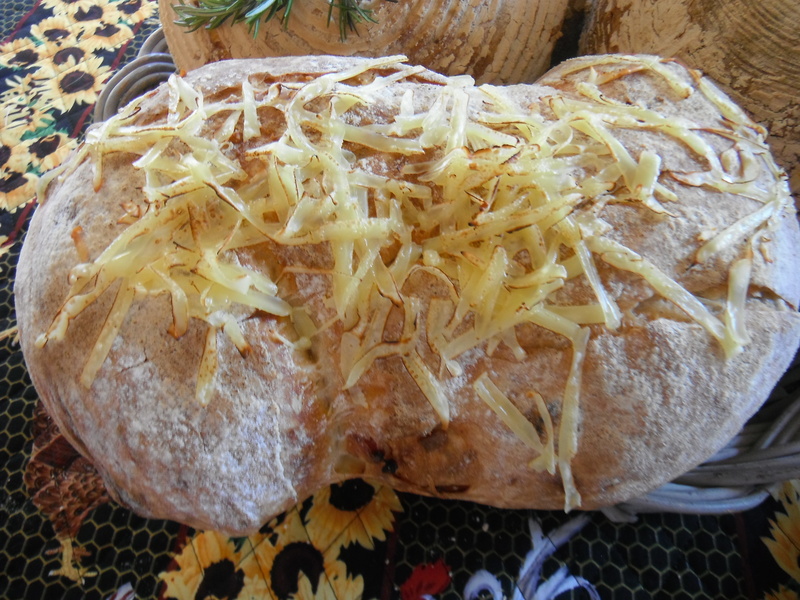 If making the Rosemary Parmesan bread, now is the time to knead in the fresh chopped rosemary and grated Parmesan cheese. 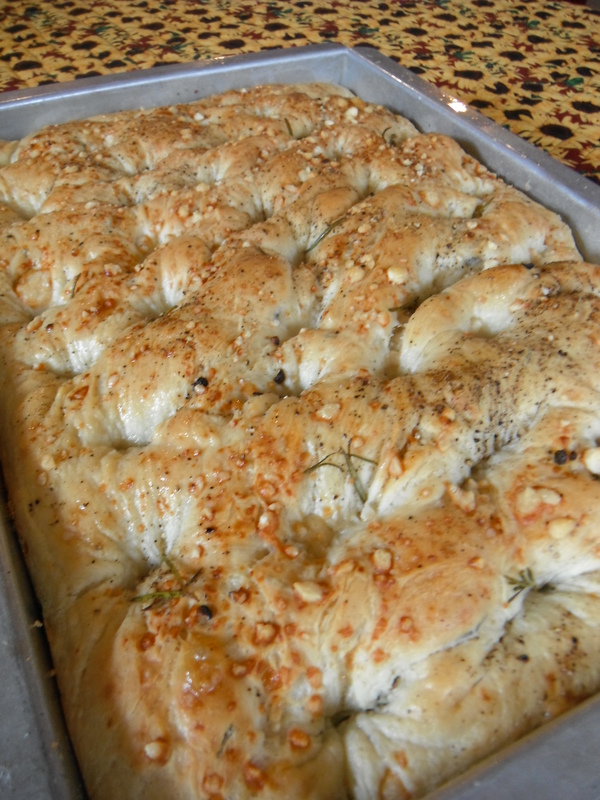 Flatten the kneaded dough into a square and sprinkle the rosemary and Parmesan evenly over the top. Roll up like a jelly roll and then fold in half. Continue to knead until the additions have been evenly dispersed. Place the dough in a bowl or clear plastic lidded bucket. The plastic lidded bucket is what I use. Mark on the outside of the bucket with tape the top of the dough. This way you can easily see when the dough has risen to double its size. Once the dough has risen to double its size, remove from bucket and shape into a round loaf. Place the loaf on a sheet pan dusted with cornmeal or on a pizza peel dusted with cornmeal. Cover the shaped loaf with a damp towel and place in a warm draft free place to rise again until double. Meanwhile, place a shallow pan on the lowest set rack in the oven.Rack should be in the center of the oven. If you are using a baking stone , now is the time this would be placed on center rack in the oven. Preheat oven to 475 degrees. Once bread has risen sufficiently, slash the top as desired and place in preheated oven using the baking sheet or slide the loaf from a cornmeal dusted pizza peel onto the heated baking stone. Pour about 1 cup of water into the shallow pan that was placed earlier in the oven . Close oven and reduce temperature to 450 degrees. Bake 2 minutes and then pour another cup of water into the shallow pan. This procedure enables you to achieve the crunchy chewy crust so loved with artisan breads. Continue baking the bread for about 35-40 minutes or until the internal temperature reaches 200 degrees. Remove from oven and allow to cool. As tempting as it may be to dive right into that fresh hot from the oven bread, restrain yourself and allow to cool completely. The hot loaf,if cut will only smoosh together; It’s worth the wait. Mix the dough using the same method as the Country White French and Rosemary Parmesan Boules. The method is the same with the exception of the oven temperature and shaping. To shape the bread, flatten out dough to about 16 inches long and sprinkle evenly ham and cheese. Roll up into a log. Fold ends on opposing sides into the center, creating an “S” shape. 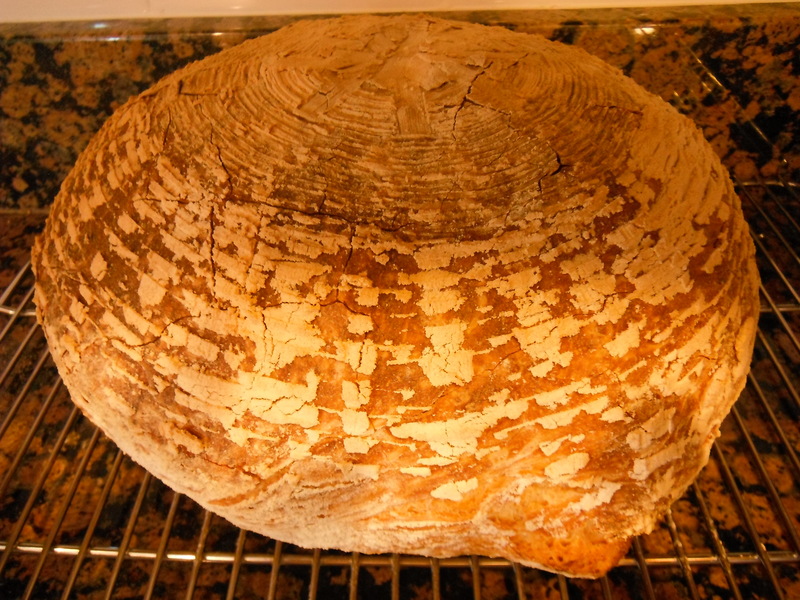 After loaf has risen sufficiently, slash several times on the top and bake as before with the water treatment. Preheat oven to 500 degrees and lower to 475 degrees baking for about 25-30 minutes or until internal temperature is 205 degrees. This dough can also utilize the food processor,bread machine or stand mixer. Add all the ingredients except the milk, eggs and almond extract to the processor bowl. Combine the wet ingredients, with motor running pour into the bowl and process just until combined. Remove from the bowl and let rise in oiled covered bowl until doubled in bulk. Add ingredients in the order you brand of machine requires set on the dough setting. Add the milk, yeast and sugar to the bowl. With beater running add the butter, eggs, zest, extract and salt. Scrape down the bowl and add the remaining ingredients. Beat at medium speed until dough is combined and smooth. Place dough in oiled bowl, cover and allow to rise until doubled. Line a 9×13 pan with parchment paper , allowing the paper to extend up the short sides. Butter the paper and sides of the pan. Turn the dough out onto a lightly floured surface and roll out to a 10-inch by 24-inch rectangle. In a medium bowl combine the filling ingredients. Raspberries must remain frozen. Working quickly sprinkle evenly the filling ingredients over the dough. Roll up dough to form a 24-inch log. Cut into 16 rolls. Place the slices into the prepared pan . Scrape up any berries which may have fallen out and place in between the rolls in the pan. Cover pan with plastic wrap and set in warm draft free place to rise to double in bulk. This will take awhile at the very least 2 hours or more. Once risen bake in a preheated oven of 425 degrees. Bake the rolls for about 25 minutes or until golden and cooked through. Remove from oven and allow to cool in pan 30 minutes before de-panning. Mix the glaze ingredients in a small bowl until combined .Place a tray on top of pan and flip over, peeling off parchment paper. Flip back onto serving dish. Spread the glaze over the top.